Redefine the category of a server; Windows Server 2012 delivers new features ranging from virtualization, networks, storage, user experience and the cloud. It automates and transforms the IT operation to reduce costs and deliver a new level of business value. Windows Server features benefit from small businesses to large corporations; it generates energy consumption savings and licensing thanks to virtualization, and improves response times due to a central administration through which practically all servers can be managed in the data center. 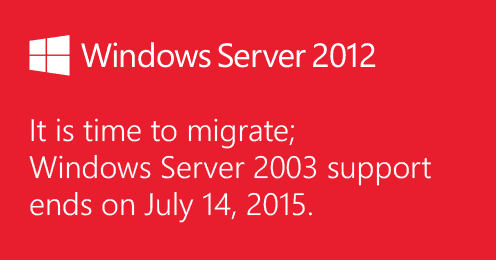 End of support means that you will no longer receive updates or patches to address security problems after July 14, 2015. This means the beginning of possible incidents and could leave your systems vulnerable, causing compliance problems. Windows Server offers greater flexibility through the strategy of Microsoft Cloud OS; Windows Server 2012 R2 provides a better experience by supplying your infrastructure with global scale cloud services and improvements in virtualization, administration, storage, networks, virtual desktop, information protection, applications, and web. Migrate today and avoid risks! Plan your next migration. Migesa has expert consultants who will help you assess your business needs and design a migration plan to take your business to a new level of virtualization. Services of implementation and configuration of operating system under the best practices. Implementation and migration of Active Directory. Implementation and configuration of Remote Desktop Services (RDS). 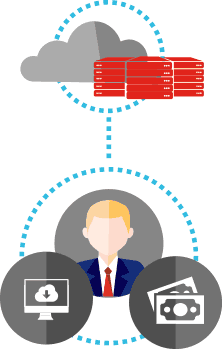 Directory services based on Microsoft Active Directory Services (AD DS) provide a distributed database that stores and manages information on network resources and specific data of directory-enabled applications. Administrators can use AD DS to organize the elements of a network, such as users, computers and other devices in a hierarchical structure. The hierarchical structure includes the Active Directory forest, domains in the forest and the organizational units (ou) in each domain. The Hyper-V role allows to create and manage a virtualized computing environment through the technology integrated in Windows Server 2012. Hyper-V virtualizes hardware in order to provide an environment in which it is possible to run multiple operating systems at the same time in a physical equipment, running each in their own virtual machine. 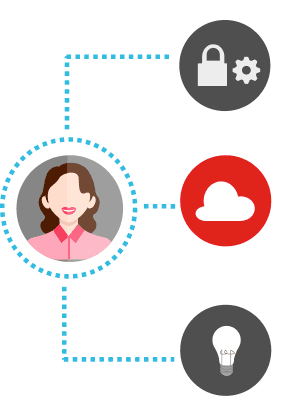 With access protection solutions and Microsoft information you can manage one identity per user, both in cloud-based applications (SaaS) and local applications. Define the level of access to information and the applications of each user based on who they are, what they have access to and from which device. Provide secure remote access to your mobile workers with Windows Server Remote Access (RRAS) of DirectAccess and VPN, allowing your users to synchronize their files from a corporate server to their devices. The advantages of DirectAccess connections are more transparent than a VPN connection. While users tend to start and close VPN connections manually, Windows operating systems automatically start and close connections. This transparency provides intranet resources and business applications. This connection occurs through the login to the user’s device; this automatic connection works both ways and allows network administrators to manage the device remotely. Why choose between your data center and the cloud? A hybrid cloud solution gives you both. Your organization needs a flexible IT infrastructure; private cloud allows you to be more agile and manage resources more efficiently. Microsoft hybrid cloud combines Microsoft Azure, Windows Server and Microsoft System Center, which provides Microsoft business type technology, both in your own data center and in the cloud. Combining your infrastructure with the cloud does not mean to add complexity to your IT processes. A Microsoft hybrid cloud allows you to easily move workloads from your data center to Microsoft Azure or to a data center of another hosting provider, maintaining a full view of the infrastructure. Create hybrid applications that make better use of resources, take advantage of the recovery options, backup, storage and reduce costs.